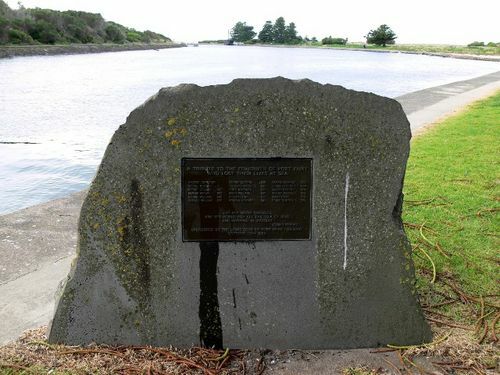 A monument commemorates fisherman of Port Fairy who have lost their lives at sea. Eighteen names are on the monument which was constructed as a community project. Are Wrapped In Mystery. Joseph Conrad.